Zhivko Vasilev joined the Snow Owl band again for Jazz Al Parque festival in Bogota, Colombia. Zhivko received a special invitation from the Colombian Grammy Nominee – Juan Garcia Herreros – The Snow Owl to join his band for the International Jazz Festival – Jazz Al Parque in Bogota, Colombia. They have worked together before in different projects and Zhivko Vasilev participated in the Snow Owl’s new album – “The Blue Road”. The Snow Owl also takes part in one of Zhivko’s album “YesToday – Outhentic”. The audience at the festival was very welcoming to the whole band and they cheered every time a musician played a solo. 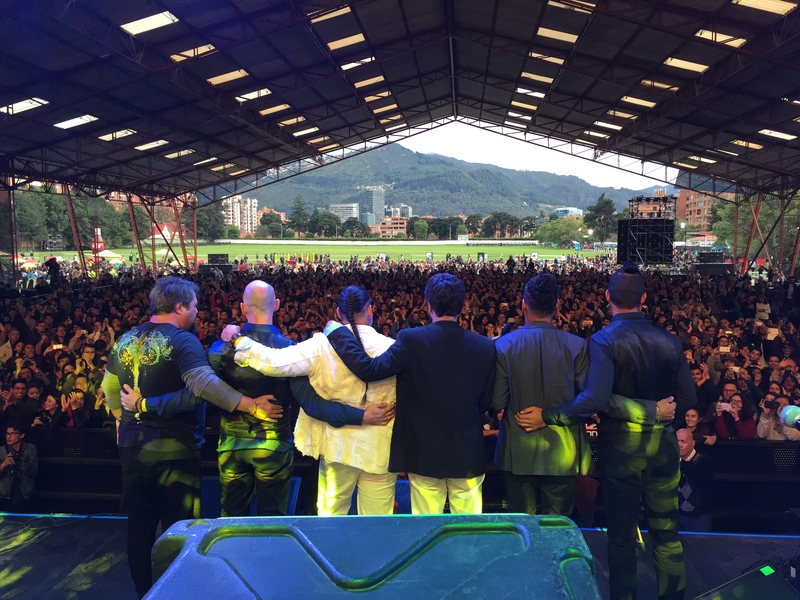 The international band, with musicians from Colombia, Austria, Turkey, Brazil and Bulgaria, played for an hour before more then 3000 people on a beautiful stage in Bogota and the concert was live broadcasted on Presentadora Canal Capital and worldwide via YouTube and FaceBook. After the show Zhivko and Juan were invited to be interviewed for the same television and the interview was also live broadcasted! “It was a great experience and I’m really happy to be part of this amazing festival! I’d really like thank The Snow Owl for bringing me here! Colombia is already one of my favorite countries and I’m already in love with everything here! I’ll come back here at least for a month!” Said Zhivko to the audience of the TV Channel.